What are the best free to play PS4 games? There are hundreds of excellent games on Sony's console, but almost all of them require you to cough up some dough. If you're feeling the pinch, there are a number of great free titles on PlayStation 4 that you can play without spending a penny. These free games can be just as much fun as many premium experiences found on the console. If you're after free to play games on PS4, this list features the best of the bunch. 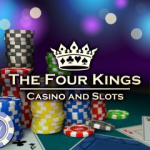 The Four Kings Casino and Slots is a social space undoubtedly inspired by PlayStation Home, and that means it comes with all the same caveats as Sony’s virtual world. Yes, you’re going to stumble upon ginger bread men spitting lines about pubic hair – but you’re also going to be able to sit in a packed bingo hall, crossing off numbers next to cowboys. This is a weird game, but there’s so much to see and do that it can get its claws into you. Fancy a game of pool? This free to play edition of Hustle Kings has been around a while, but it's surprisingly fully featured, with support for PlayStation Move controllers and even PSVR. The gameplay is about what you'd expect; you're able to play variations on pool and snooker against the AI or online players in tournaments. There's not a whole lot to it, but playing pool on your TV or in virtual reality can become quite compelling. This free to play strategy game is surprisingly approachable. Aside from some overly complex UI, Guns Up keeps things simple with straightforward controls and progression that's relatively easy to wrap your head around. Building up your army and base, and then taking on other players in side-scrolling battles, is a lot of fun, and it can quickly become addictive as your force grows stronger. 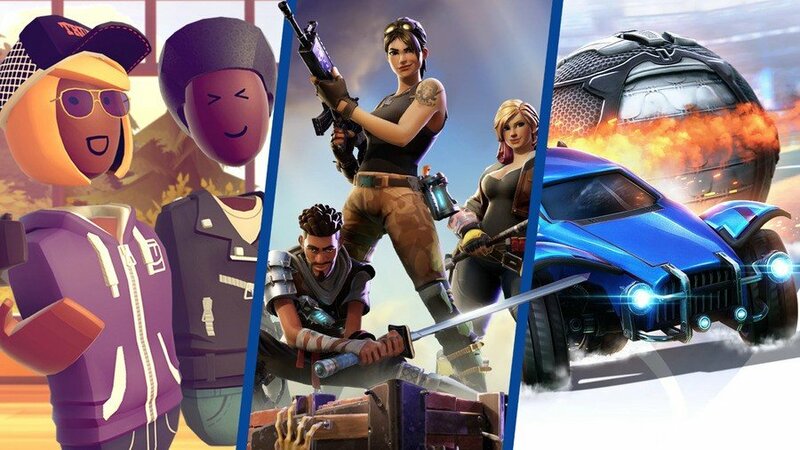 Free-to-play games tend to lean towards the largest trends, and Switchblade could be considered a mash-up of multiple established brands. The core gameplay loop is very much inspired by MOBAs like SMITE and DOTA, as you guide robotic troops towards the base of your opponent. The twist is that you compete in vehicles, so there’s a hint of Twisted Metal to the way war is waged. Factor in an American sports-style aesthetic and there’s clear potential here, but it’s still early in its lifecycle and thus it remains to be seen if this title can stand the test of time. Half-court b-ball is the order of the day in 3on3 Freestyle, a slow but slick free-to-play arcade game with a great sense of style. 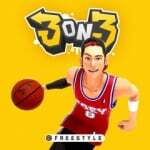 Developed by Korean outfit JoyCity Corporation, the community for this online-based sports title is surprisingly large, and while the gameplay is simplistic, it can be fun hitting threes and throwing alley-oops to your absurdly urban-looking teammates. Not even a convoluted upgrade system which is riddled with microtransactions can undo the studio’s hard work here, though the novelty does wear off eventually. Really, really enjoying Apex Legends at the moment. Realm Royale has been my favorite thus far, although Apex Legends is also very good. I just wish Apex could played solo and not in a squad. i uninstalled apex legends after about an hour (about 30 minutes of that was constant EA online connection problems). i always keep forgetting that rocket league isn't F2P. warframe is by miles the best F2P on PS4. the only other one i've bothered with is warface, which is a solid enough shooter. This is a good list. Shows the fun you can have with little or no funds. Personally though I would have liked to have seen Neverwinter on the list to represent some of the more classic mmorpgs. I’ve played maybe 2000 games since the Amiga 500, earned over 16400 trophies, but the FTP game that has me hooked is Gems of War (over 1100 hours according to My PS4 Life). Warframe is second, Guns Up! third. PM me on PSN if you want to join my guild. Out of the games listed I put the most time into Let it Die. @optic_efun11 I haven't played the first Titanfall at all, and put only a couple of hours into the second one's campaign mode, but I really liked how movement feels in TF2, and Apex feels just like it (apart from, ya know, double jump and wall-running). Respawn Entertainment might have only 3 games in their portfolio, but if this track record is indicative of anything, their upcoming Star Wars game might finally allow me to let 1313 go. Great list. Paladins have been my favourite so far. 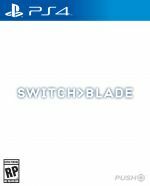 Also, didn't know that Switchblade is free to play, so thanks. This is a good list either way... I'm just bit sour that Paladins isn't a bit higher on the list. Might give Fortnite a go, good list free games are always a plus. No way! Apex Legends is way better than Fortnite. Way better! I miss the weird communism themed The Tomorrow Children . Crossout and Gems of War should be on that list. Having 3 near identical battle royale games on the list is a little redundant if you ask me, especially given the fact that H1Z1 is shockingly bad. I really think gems of war should be on the list. Played it every day for three years until I finally quit last May. Warframe definitely deserves at least second place imho. Too many MOBA and Battle Royale games in this list. Realm Royale should be in the top 5. H1Z1 I don't think should be on the list. Paladins is also one of the best! Glad to see Let It Die on there. Not too many people know about that one! So brutal!! Really tried to get on with Apex but we just didn't click. But I do play Four Kings every day. Love it. Let it Die is a great and fun game! But, the one that's free to play that I find myself coming back to constantly, is Gems Of War. Warframe has a cool community. Realm Royale and Paladins are my go to games since they came out. I am really happy they on the list and where they are placed. I understand why Smite will still be higher than Paladins but overall this is a fantastic list. @Vorlon I was the guild leader of quimby and played every day for three years. This may I'll have been clean for a year. That game was like crack! We were in bracket 1 until fairly recently and we had a really good tight-knit group of players. We managed third in guild wars at our peak. Its a great f2p but I'm glad I quit. Hey, if you quit because you were tired of meeting weekly requirements, you are welcome to join my guild as a casual player. @Vorlon thanks, I had lots of options but at level 1286 and pretty much all troops apart from 3 mythics and zuul and hundreds of arcanes I decided to quit for good. It became too much, too many things to do, too many events etc etc and it was time to quit. It is a great game but every day for three years was enough! Thanks again. @Dan_ozzzy189 The game has evolved quite a lot since you quit. Troops, pets, visuals and even more events (delves, tower of doom, bounty,... )! I’m (only) at level 1096. Yeah, I'm still in the psn council of quimby chat so keep contact with a few of the guys but most of them in the group no longer play either. I had all the pets when I quit and a few at mythic. I'm done with the game. Hey thanks for this list. I've played various card games in my life, and recently I was playing one for ios called Shadow Era, which was quite fun. I'm seriously considering checking out Gwent. The idea of playing a card game and getting trophies at the same time sounds really fun. Has a rare platinum of 0.3% too! I've put more hours into Warframe than any other game I've played. The constant improvements & expansions are to be commended. Anthem should of had a long hard look at this as a model.